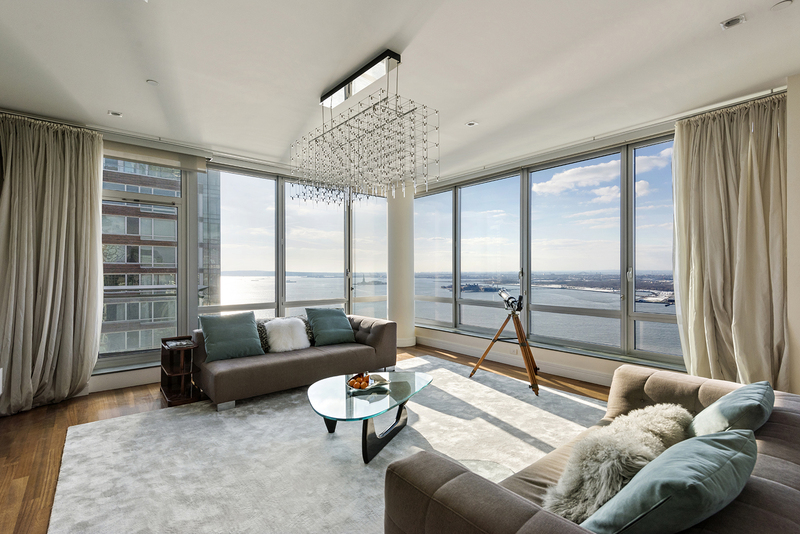 Enjoy life at the top in this southwest-facing, corner penthouse with spectacular panoramic views of the Hudson River and Statue of Liberty from every room. Beautifully renovated, this 3-bedroom, 3.5-bath home has 10-foot ceilings and wraparound floor-to-ceiling windows. A gracious layout features an expansive living room with separate dining area, and a private balcony off the main living space! The open chef's kitchen has top-of-the-line stainless steel appliances, custom cabinetry and Pietra Bedonia stone countertops. Your luxurious master bedroom suite has an en-suite marble bath complete with double sinks, a deep soaking tub and a frameless glass stall shower. Two additional spacious bedrooms each have their own en-suite marble baths. Additional features include Brazilian cherry wood floors, generous custom closets, a vented Miele washer/dryer and fresh air and filtered watering system. The Millennium Tower Residences is a full-service LEED gold certified luxury condominium. Building amenities include 24-hour doorman and concierge, state-of-the-art fitness center, valet parking, children's playroom, bike storage, and residents' lounge with billiards and more. Conveniently located in Battery Park City South adjacent to numerous parks, promenades, Pier A, the Ritz Carlton Hotel, and fantastic restaurants and shops of Brookfield Place and Westfield WTC shopping centers. 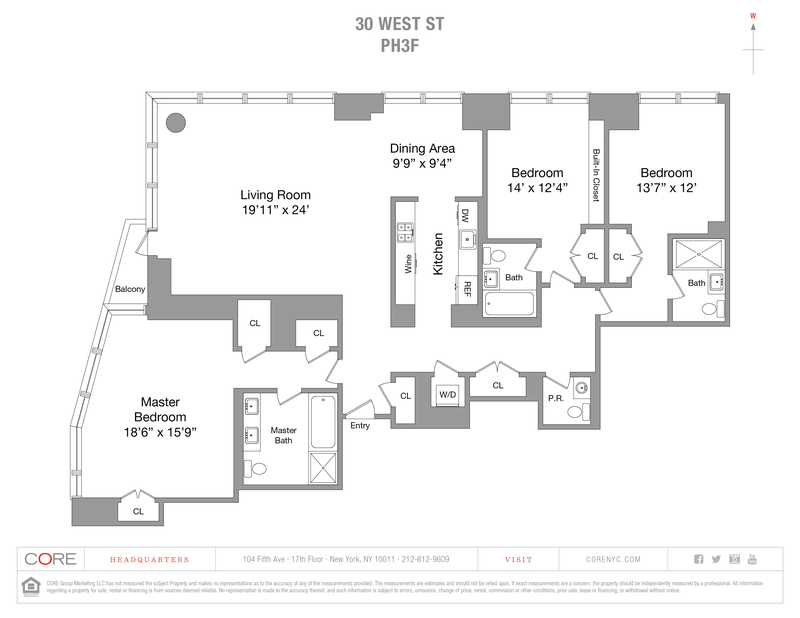 You can easily access the Financial District, Tribeca, the West Side Highway, and all subways and major transportation.